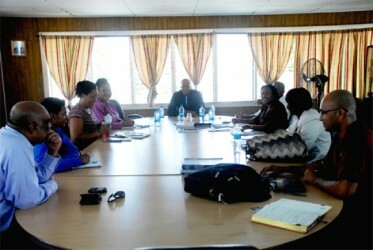 A delegation to Guyana from Trinidad and Tobago comprising representatives from two of the country’s business support organizations says that a key objective of their visit is to develop “direct relationships” with the business community here to help reduce resort to government involvement whenever important private sector initiatives are to be taken. Representatives of Trinidad and Tobago’s Export TT, the entity responsible for providing multi-faceted support for export-driven local business entities and the Trinidad and Tobago Manufacturers Association held an hour-long meeting on Tuesday with representatives of the Georgetown Chamber of Commerce and Industry (GCCI) including Chamber President Clinton Urling and the organization’s Immediate Past President Komal Ramnauth. Much of the meeting was spent discussing possible strategies for strengthening bilateral ties between Georgetown and Port of Spain at the private sector level in the light of what was felt to be the diminished effectiveness of the Caribbean Association of Industry and Commerce (CAIC). The Trinidad & Tobago business development delegation comprising representatives of the twin island’s manufacturers association and the trade facilitation entity Export TT talking with local Chamber of Commerce President Clinton Urling (centre) and Immediate Past President Komal Ramnauth on Tuesday. The Trinidad and Tobago delegation has mooted the creation of an intra-Caribbean private sector designed to strengthen multi-level intra-regional private sector collaboration, thereby removing what sections of the regional business sector believe to be needlessly bureaucratic and time-consuming engagements with state entities that can be reduced through direct, reliable and sustained contact between and amongst regional private sector entities. The visit here by the Trinidad and Tobago business support delegation comes in the wake of sporadic exchanges between Georgetown and Port of Spain, at the government-to-government level on the issue of private sector collaboration in pursuit of agricultural and agro-processing ventures aimed at strengthening regional food security, reducing extra-regional food imports and providing potentially lucrative investment opportunities for businesses in the region. The most recent of those engagements occurred in November 2012 when a Trinidad and Tobago delegation headed by the country’s Food Security Minister Devant Maraj visited Guy-ana and held talks with officials of the Ministry of Agriculture here. Little has since been heard of the promised Memorandum of Under-standing which both sides said would result from the visit to give direction to the envisaged commercial pursuit of various agribusiness ventures. 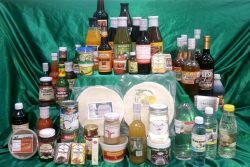 While Guyana has long been a market for products manufactured in Trinidad and Tobago, meaningful bilateral trade continues to be hamstrung by a lack of competitiveness in the local manufacturing sector resulting primarily from high fuel prices compared with significantly less energy costs which businesses in the oil-rich Republic pay. 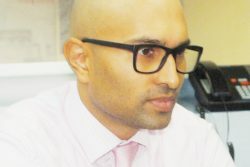 While the visit here by the Trinidadian delegation is centred around information-gathering on behalf of a private sector that is seeking to expand both its regional and extra-regional markets, Tuesday’s meeting with the Georgetown Chamber also dealt with exploring opportunities for joint venture manufacturing initiatives involving business enterprises in the two countries. Both Export TT Senior Export Development and Promotion Officer Shirley Ann Noel and Trinidad and Tobago Manufacturers Association Team Leader Renee Penco said that the fact-finding visit was a reflection of the Trinidad and Tobago private sector’s increasing interest in doing business with the regional private sector. 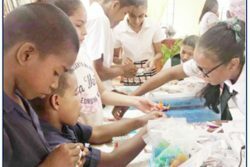 Meanwhile Noel said that while it was unlikely that a formal Trinidadian delegation would visit Guyana for GuyExpo this year, the island’s private sector would be seeking to participate in the event in 2014. Prior to its departure for Paramaribo this weekend the visiting delegation was due to meet with other Business Support Organiza-tions including the Guyana Manufacturing and Services Association (GMSA).